This course is not currently being offered, please contact Emily for future dates. Mindfulness-Based Stress Reduction (MBSR) uses meditation, yoga and self-exploration to reduce the level of stress in your life. Originally developed by Dr. Jon Kabat-Zinn, MBSR is based on the concepts of moment-to-moment awareness, acceptance and self-compassion. Decades of research show that the MBSR program brings about lasting decreases in symptoms of stress: both physical and psychological. This program is now being taught in over 700 hospitals across North America. Course fee: $500*, includes workbook & 6 hour retreat day (10% discount for students, unemployed or if you register with a friend.) $250 deposit required at time of registration. Official receipts available as a psychotherapist or social worker. Schedule: Eight Friday mornings, 9:30-12 pm (+ retreat day). What you can expect: You will be welcomed into an open and warm environment, where participants are invited to sit in a circle of cushions on the floor, or can use chairs or a comfortable sofa. Each session begins with an opening meditation to ground and settle you, as well as introduce you to the mindfulness meditation we will be working with that week. 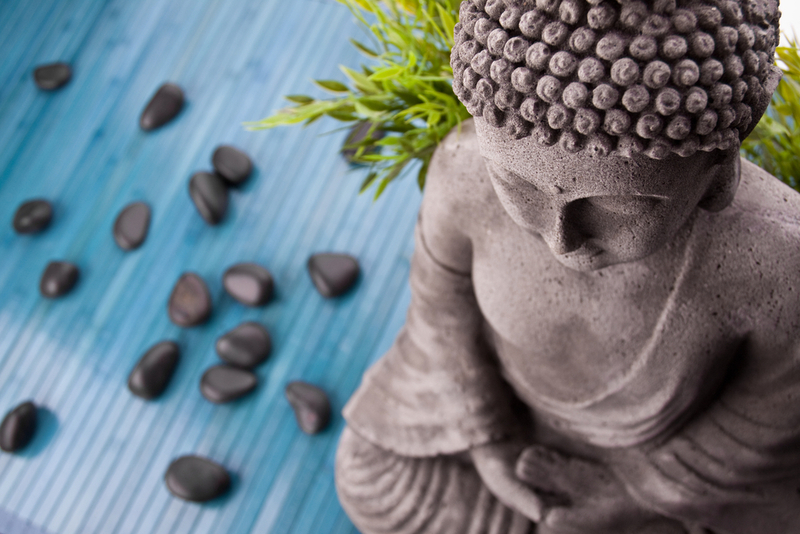 Each week a new theme of mindfulness is introduced, which is then discussed in an interactive, bilingual discussion format and participants are free to engage at the level they feel most comfortable. Participants can share how their weekly practice is going, bring up challenges or ask questions related to the material. Small group discussions and writing exercise are also used throughout the program to help participants process and integrate the concepts in a profound way. During the course, participants are encouraged to work up to a daily practice of 30-40 minutes per day. There is a break for tea and cookies half way through each session, as well as light body stretching led by a yoga instructor. 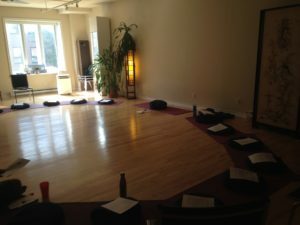 The 6 hour retreat day towards the end of the program is a wonderful opportunity for participants to integrate and embody mindfulness practices introduced and is often a highlight for many participants! So that mindfulness training may be more accessible to all, Emily is now offering several scholarship placements (at %30 discounted rate) within each of her MBSR courses. If you would like to apply for this scholarship placement please contact Emily.